Demetrius Andrade is a former WBO light middleweight champion who is currently undefeated. Recently Andrade returned to the ring and made a successful move to the middleweight division. Demetrius is one of many fighters looking to follow in the footsteps of the mega stars like Floyd Mayweather and Manny Pacquiao, creating huge events that capture the world’s attention. 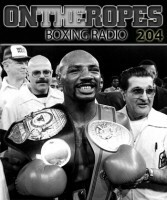 In part 2 of my “On The Ropes” boxing radio interview with Demetrius Andrade, I talk to him about the current state of the sport and get his views on the special event that was Mayweather-McGregor. Andrade also gives his breakdown for an Anthony Joshua vs. Deontay Wilder fight. 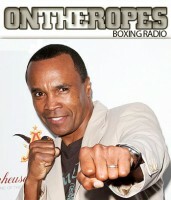 Additionally, Demetrius talks about his return and the fights he would like to have. 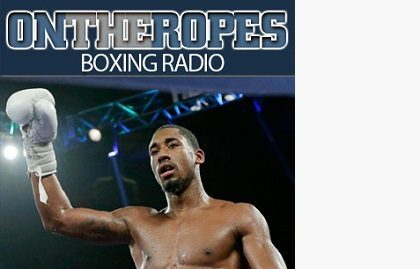 Here is what Demetrius Andrade had to say. 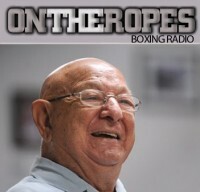 Jenna J: What do you think of the current state of boxing? 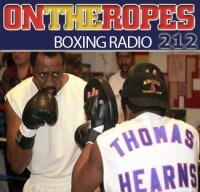 Demetrius Andrade: I think that it’s going in the right direction to be back as pretty much the number one sport. Boxing to me is just all around the number one athlete sport, because it’s one-on-one, there’s nothing else, there’s no team mates, no breaks. It’s you and everything that tells us about you when you’re in that ring and you’re fighting somebody who is trying to take your head off. It is a risky business, it is a risky sport. I do like soccer too, I can’t lie, there are some athletes in soccer. The McGregor-Mayweather was a great thing for fans outside of boxing and people who don’t know too many boxers. 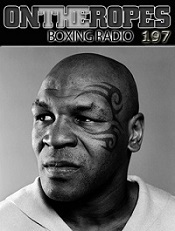 That was real good for boxing. Jenna J: There’s a lot of intrigue in the heavyweight division right now and most fans want to see Deontay Wilder square off against Anthony Joshua. If those two do meet, what do you think happens in that fight? Demetrius Andrade: To see the heavyweight division get back in order and have guys coming out is good. Deontay Wilder is definitely representing the heavyweight division like nobody else and Anthony Joshua as well. I just think that Deontay has everything to stop anything coming his way. I’m not saying he can’t get touched or beat up, but it’s going to be very difficult to fight somebody his height with his reach that can hit you with the “Bomb Squad”. I’m favoring Deontay with any heavyweight out there. Jenna J: A lot of fans want to know when you’re going to be returning to the ring. When do you see yourself getting back in there? Demetrius Andrade: There were discussions about December and that got prolonged. I want to get back in the ring, I want to make things happen. Unfortunately it won’t be this year, but hopefully we can get back in the ring in February or March. If a fight with Golovkin can happen, that would give me plenty of time to put on the proper weight. We made a decision to stay at 160lbs, so now I can start building to be a full fledged middleweight. Why not have my second fight against one of the best of the weight class? Jenna J: Do you think 2018 is the year you break out and become a superstar in the sport? Demetrius Andrade: Every year I believe is my year, it’s just about who is willing to get in the ring with me and fight. I can’t break out unless I’m active. I think HBO with the talent that they have and the amount of fighters that they have in the weight division, they can make a lot of fights happen. This can definitely help me become that guy. Jenna J: Is there any message you want to pass along to your fans? Demetrius Andrade: For my fans that always mention me every time you talk about anybody in the 154lb or 160lb division, thank you! For people who didn’t know who I was and saw me perform recently and now understand who Demetrius Andrade is, thank you. 3 Responses to "Demetrius Andrade: “If a fight with Golovkin can happen, why not have my second fight against one of the best of the weight class”"
I think he is crazy if he takes on GGG. He will get destroyed. But at least he is willing to face the best. It’s a shame he never fought Lara, because I think that would of helped determine who was the best at 154, but now hes moved on to 160, so it goes down as a fight people wanted to see, but did not happen. I think he would have won. he would have beat canelo, but would not have beaten ggg, not even close. ggg is too strong and powerful for him. canelo is overrated.